I'm attending a reunion today. There won't be any of the pomp that often goes with reunions. It will be a quiet affair attended by 10 or so men. We'll meet at a local restaurant hardly noticed by the other patrons. There'll be the usual embraces and smiles that come with seeing friends. Talk will start with updates on careers and personal lives. Someone will brag that at 60-plus years he can still run a marathon. Another will point out that he's now as fit as he was when he was 25. Side conversations will abound and at times we'll crane to hear what someone is saying at the other end of the table. The requirements to attend this reunion are simple: U.S. Army Veteran of the Vietnam War and, except for one, being a San Diego lawyer. The exception is the publisher of this newspaper who was waived in because, well, just because we like him and publishing stories about the law is close enough. A cross section of the Army in the 1960s is represented. An infantry squad leader, platoon leader and company commander, a JAG officer, artillery officer, chaplain's assistant, pilot, AGC officer, combat journalist and at least three who were paratroopers. The usual legalese common among the group is easily replaced by military argot. We'll laugh about those who had cushy rear-area jobs -- REMFS we called them. We are bonded by having been soldiers in America's most unpopular war. We recount our experiences while serving in Vietnam. Some memories bring smiles; some memories throw us in the wracking sea of nearly ineffable memories. We'll wonder how those who endured the incubus of Vietnam are really the same now-middle-aged-men enjoying the good life of San Diego. There is still a hint of warrior spirit even as the hairlines recede. If you just happened by you would not know that the men sharing this meal also represents the finest the legal profession has. A 2008 Super Lawyer, a former Daniel T. Broderick award recipient, a 2008 San Diego Top Corporate Counsel winner, partners and former partners of major law firms and successful sole practitioners. What you won't find is the Vietnam War veteran as described by the popular press, college professors and movie directors immediately following the war. No dropped out, drugged out, unkempt dreck here. No one at this table thinks "Platoon," "Apocalypse Now" or "Full Metal Jacket" represented reality, although "We Were Soldiers Once and Young" came close. Sitting at this table are those who put God, country, family, friends, and profession first and self second. May the historical record be corrected nunc pro tunc. This year is different. This year the waitress asks if we are expecting another to join us. Her question is a result that for the first time there's an empty chair in front of an unused place setting. Not unlike the missing-plane formation the Air Force uses to symbolize a comrade no longer among them, the empty chair is there for our missing friend. This year we lost our friend, partner, brother and comrade. In January Jay Wheeler died prematurely. Jay is remembered by us as much for his personal character as being a superb lawyer. Our group has joined the legion of such groups who have similarly lost a comrade. At some point someone will suggest a toast. There'll be a toast to Jay and a nod to the one who set a standard for all of us to follow. There'll be a toast to those we left behind and never had the chance to live the lives we've enjoyed, but whose sacrifice made our freedom and liberties possible. There'll be an optative toast to those who are serving now, wearing the same uniforms we wore and for the service men and women in full enfilade against our enemies, will return home safely and victoriously. Our yearly stand-down will end with the usual hugs, handshakes and promises not to let the year go by without getting together more frequently. Watching the cars leave the parking lot offers glimpses of what these men have done and stand for; American flag decals, Vietnam Veteran stickers, and license plates and holders offering two or three word autobiographies. One senses both pride and humility. Duty, honor, country are values shared at this gathering. And so, until November 11, 2009 we say our goodbyes. Lickness served as a platoon leader with the 101st Airborne Division in Vietnam in 1968. 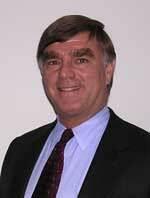 A resident of San Diego, he is General Counsel for Golden Eagle Insurance.